Established in 1967, O’Connor Nurseries are a multi-award winning family run business producing premier quality Irish grown plants specifically for Garden Centres. We are one of the leading growers and providers of wholesale bedding plants in the South East and are conveniently located 3 miles outside Gorey in Co. Wexford. 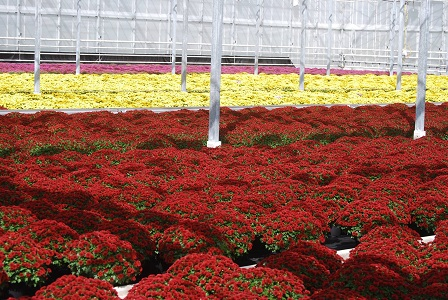 Our Nursery has over six acres of glasshouse including four acres of new state-of-the-art climate-controlled houses. We produce an extensive range of the finest quality pot plants, bedding plants, hanging baskets and window boxes as well as pots and planters. We consistently maintain very high levels of quality and performance and are proud to be able to display the Bord Bia quality award on all our produce. In addition to maintaining high levels of quality, we have also been previously awarded Best Local Plant Supplier (as voted by the Garden Centres) Best Specialist Grower and the industry’s highest possible award the Ornamental Grower of the Year. Currently Hiring: Click HERE to view the job.